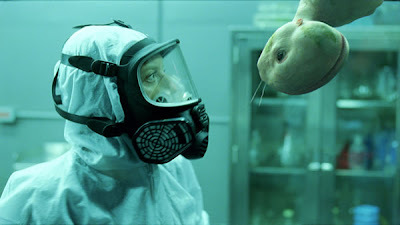 Elsa (Sarah Polley) and Clive (Adrien Brody), two young rebellious scientists, defy legal and ethical boundaries and forge ahead with a dangerous experiment: splicing together human and animal DNA to create a new organism. Named "Dren", the creature rapidly develops from a deformed female infant into a beautiful but dangerous winged human-chimera, who forges a bond with both of her creators - only to have that bond turn deadly. The best part of this news is that WB is planning a wide release and not just a limited one. Meaning SciFi and Horror fans around the U.S. will get a chance to see this touted film play out in theaters. Too many times films from Sundance are only given a very limited release, leaving the majority of the U.S. outside of Los Angeles and New York waiting for DVD or Blu-Ray. Not this time! 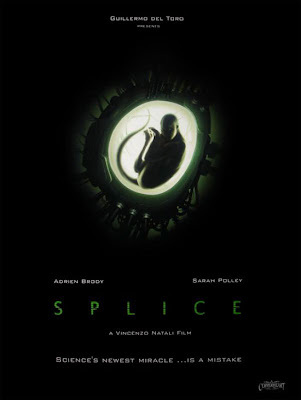 Stay tuned for the trailer to "Splice" which should be releasing online shortly. I've also included the first poster for the playing god horror below.